Lewis Hamilton claims racing in his home grand prix makes him more determined than ever to succeed and is looking forward to the support of the British fans next weekend. Hamilton finished third in his first British GP last season and needs a strong result to get his title charge back on track after slipping to fourth place following his retirement in Canada and his troubled time at Magny-Cours last weekend. And he believes the sell-out crowd will help to push him on to a good performance. “There’s something about racing in your home country that affects you,” he said. “The constant support of the crowd gives you a boost throughout the whole weekend. It’s not something you experience anywhere else, but it does make you that bit more determined to succeed. “It gives an extra boost to your confidence to know you’re getting more support, and it seems to make you perform better. Last year I found the support was immense and made the weekend a lot easier to get through. 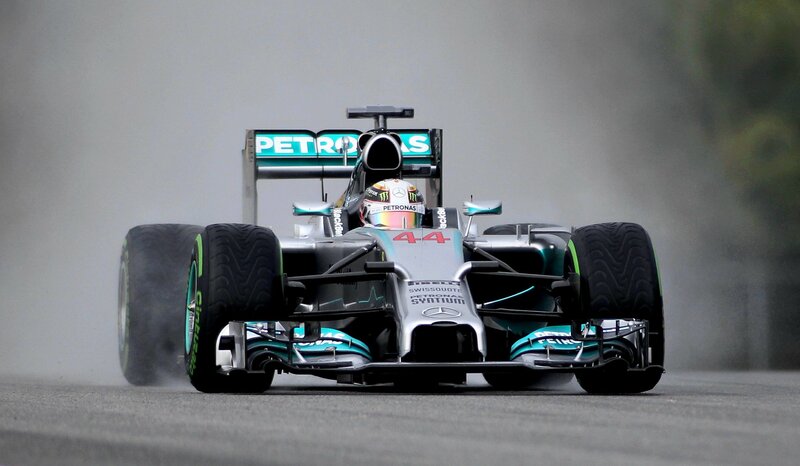 Hamilton is also eager to race again at Silverstone, which he believes is one of the world’s best driver’s circuits. “It’s one of the best on the calendar, a real driver’s circuit,” he added. “It’s super-fast. The first half of the lap doesn’t require any braking at all, just little lifts and shifts down through the gears. “You need to watch the brake temperatures don’t drop too low because you’re not using them much, where else can you experience that? Hamilton also thinks the media “will be back on my side” once he starts performing strongly following the criticism he has been subjected to. The McLaren driver was criticised by the British media after his crash with Kimi Raikkonen during the Canadian Grand Prix. Hamilton had another race to forget in France last weekend after having to serve two penalties, one for his Canadian crash and another for cutting through a chicane at Magny-Cours. The Briton was defiant after Sunday’s race, saying the press will not distract him. Hamilton admitted he is not a fan of facing the media as soon as he gets out of the car, but the McLaren driver is convinced he will get support when he starts winning again. “You’ve just done an hour-and-a-half race and worked your backside off, and then they expect you to sit down and straightaway get out of the car and talk to people,” Hamilton told BBC Radio 5 Live. “Are you crazy? Damn man, I’m knackered! I need a drink! Sometimes I like to do that. take us And car insurance online quote victorville You could get and again port saint lucie cheapest car insurance .Links cheapest cost for car insurance average car insurance rates for teenagers . Hey Lewis you made it – in just two years !! !